Chardonnay expresses itself differently where grown. 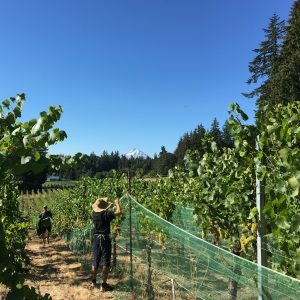 White Salmon Vineyard on Underwood Mountain has gained the reputation of producing some of the best Chardonnays in the Northwest. 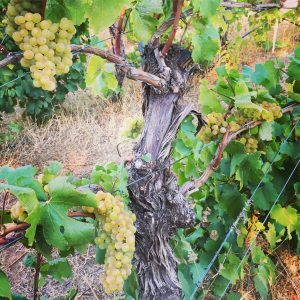 One costumer of White Salmon Vineyard fruit earned the title of Best White Wine of Washington in 2015 from the Seattle Metropolitan Magazine. The wines are lighter and more vibrant than the California equivalent. While fresher when young, the wine tends to age for 10 – 15 years, much longer than their California counterparts. Frozen White Grapes – Sold as pressed and settled juice. 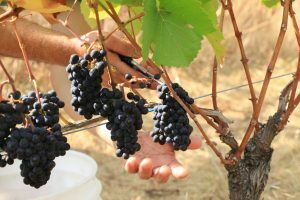 Yields are estimates and vary depending on the winemaker’s racking style. All juice listed under current inventory is frozen. Pails contain 5.25 gallons/19.9 liters of juice and will yield approximately 4.5 – 5 gallons of finished wine. Drums contain 46 gallons/174 liters of juice and will yield approximately 42 – 45 gallons of finished wine. IBC Totes contains 240 gallons / 908 liters of juice and yield approximately 228 gallons of finished wine. 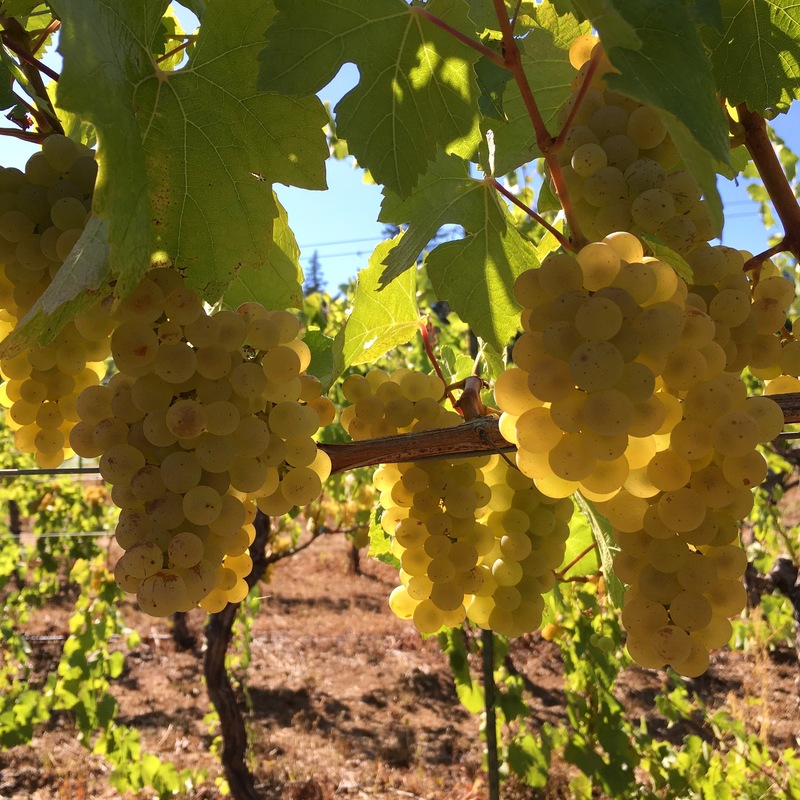 Fresh White Grapes are sold as chilled, pressed settled juice at harvest. Pre-order is required, fresh grapes cannot be shipped. The minimum order is 5 US gallons/18.9 Liters. Special pricing is available for bulk orders of 275 gallons or more. Please note, fresh grape juice is sold net, without containers and must be picked up at the processing site at harvest. California grapes/juice are processed in Petaluma, CA. Oregon and Washington grapes are processed in Underwood WA (1 hr. East of Portland, OR). Add a large portion of yeast food and ferment cool. May be made we without malolactic fermentation by adding lysozyme. Also expresses well with ML, lees stirring and light French Oak. 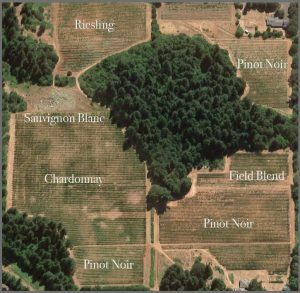 Underwood Mountain has recently been coined the “Burgundy of the Gorge.” This is because of the climate, the soil, and the ability to grow Burgundian style wines. White Salmon Vineyard grows some of the best Chardonnay and Pinot Noir grapes not only in The Gorge but in the United States. We listen to our grapes. They tell us what they need and how we can help them. We direct them like a conductor leads his orchestra. Each player knows how to play his instrument and all he needs is a good leader. Peter Brehm knows how to fine tune and direct his grapes. We have forty-plus years of grape purchasing experience and 25 years of growing and processing experience. In addition to Chardonnay and Pinot Noir we also grow Syrah, Malbec Riesling and Sauvignon Blanc. Our goal has always been to provide the finest expression of each varietal by matching it to our very diverse vineyard’s terroir. We follow organic growing guidelines, although we do not have any certifications.